Wherever possible, Show Management will make assignments according to size of exhibit, early booking, past booth purchases, theatre package requests, to separate competing exhibitors and exhibitor preferences, but reserves the right to make final determination of all space assignments in the best interest of the trade show, and alter the floor plan if necessary without notice and to reposition exhibitors with reasonable notice. Show Management reserves the right to reject or prohibit exhibits or exhibitors who Show Management considers do not meet the goals of the MHA & MRFA Trade Show. Unless otherwise stated, all booths are 10’ wide and 8’ deep. All booths have 8’ high backwalls and 3’ high sidewalls to the aisles. Within the first 3 feet from the backwall, display materials may be up to 8 feet high. Beyond 3 feet from the backwall, materials may be up to 3 feet in height. Display material and/or equipment must not be positioned in such a manner that it will not obstruct or interfere with the view of adjacent exhibits. Alternate arrangements may be permitted in some cases; please contact the Show Management prior to booking your space. 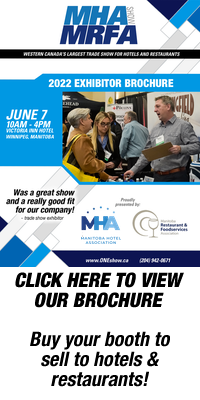 No more than one exhibiting company per booth space will be permitted for part or all of the MHA & MRFA Trade Show, without prior written permission from Show Management. No exhibitor shall sponsor, promote, or encourage hospitality suites or rooms for conducting business during show hours without prior permission of Show Management. One hour prior to the start of the show, Show Management may, without compensation, dispose of any space not completely set or reasonably completely set by the exhibitor. All activities, promotions, materials, goods & fixtures must be contained within the booth area assigned. Should activities create undue congestion in the aisles, the Exhibitor will be required to desist. Participation of non-invite persons or soliciting is prohibited. We reserve the right to refuse admittance to any company or individual. Exhibitors may not sell food or beverages for on-premise consumption. Sampling of alcohol may be done only by exhibitors given permission by Show Management. 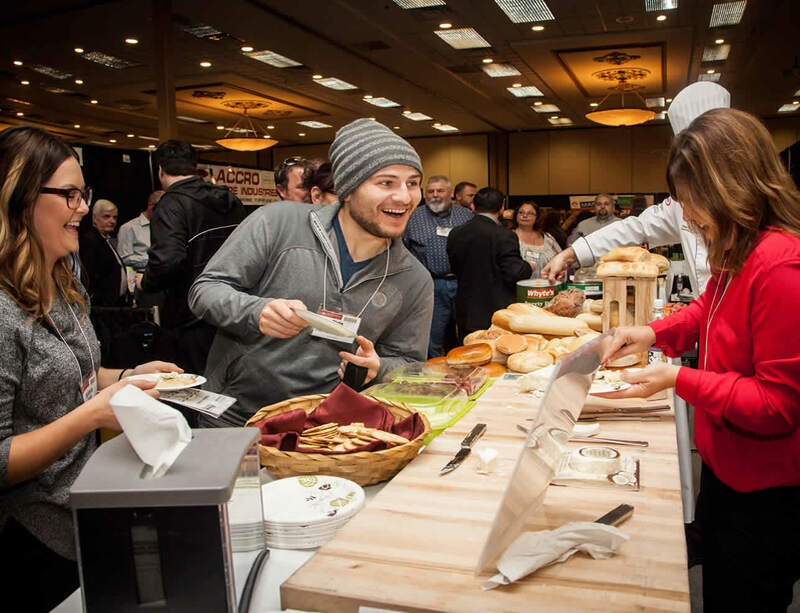 Food provided by exhibitors is for the benefit and enjoyment of attendees. Show Management reserves the right to restrict or prohibit consumption of samples by other exhibitors. No exhibitor may injure, mar or in any way deface the Victoria Inn Hotel & Convention Centre premises and in particular, no nails, hooks, tacks or screws are to be driven into any part of the premises. Sound levels should not interfere with other exhibitors. Show Management may require any exhibitor to immediately reduce the volume of any equipment or entertainment on the show floor or to discontinue its use entirely. Microphones are not permitted. Move-in will take place Monday afternoon as well as Tuesday morning or at times defined by Show Management. Deliveries cannot be accepted at Victoria Inn Hotel & Convention Centre prior to Monday. If you need to make alternate arrangements, we suggest using our display service contractor. Move-out will take place immediately after the close of the MHA & MRFA Trade Show. All items must be removed from the building no later than midnight Tuesday. If you need to make alternate arrangements, we suggest using our display service contractor. Displays may not be dismantled during show hours. No persons under 18, including infants, may enter or remain on the show floor during show hours. This rule applies to exhibitors as well as attendees and is strictly enforced. Show Management may determine certain rules or procedures for move-in and move-out. During show hours, all attendees and exhibit staff must wear a name badge provided by the Show Management at all times. Cancellations received prior to August 1 are refundable in full. Cancellations between August 1 and August 14 will be refunded at 50% of the total space price. Cancellations after August 14 are nonrefundable. Neither Show Management nor the Victoria Inn Hotel & Convention Centre will be responsible for loss or damage to persons, exhibits or decorations by theft, fire, accident, strikes or other causes. Show Management assumes no liability for loss or damage to exhibitor property. In the event the MHA & MRFA Trade Show is cancelled for any reason beyond the control of Show Management, Show Management shall in no way whatsoever be liable to the Exhibitor other than to return to the Exhibitor, without interest, such sums as have been paid to the MHA, less any and all legitimate expenses at the discretion of Show Management. Exhibitor responsible for costs for collection of any debt to the MHA, its display contractor or Victoria Inn Hotel & Convention Centre, outstanding 30 days after close of the MHA & MRFA Trade Show. Exhibitors assume all responsibility for obtaining knowledge of all rules, regulations and policies with respect to health, fire prevention, public safety, and alcohol. All exhibitors will be required to observe such further reasonable rules and regulations as Show Management may consider necessary for the safety and well being of everyone attending. All matters not covered in this contract shall be subject to the judgment of Show Management and any decision made by Show Management shall be final. Failure to observe said rules may result in expulsion from the show. Show Management may cancel without refund the contract of any exhibitor in the event of any violation of the rules and regulations set forth in this contract, or upon violation of any other rules which Show Management shall establish and make known to exhibitors. If in doubt, please call the the MHA office at (204) 942-0671.